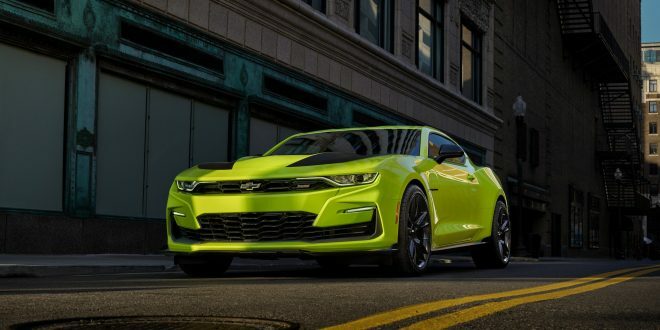 For 2019 model year Chevrolet refreshed nearly every car in its lineup, including the Camaro. The refreshed Camaro took on an interesting new front clip design; one with a massive grille that has been fairly controversial since its reveal. Apparently the controversy hasn’t fallen on deaf years at GM, because they’re reportedly changing it. Reports out of GM Authority suggest Chevy is trying to rush a new front end design for the Camaro SS, which is said to effectively be the same as the Camaro Shock Concept (shown above) that will be shown at this year’s SEMA show. The irony is the fact that the 2019 Camaro SS just commenced production not long ago. It isn’t clear what the timeline is for the new face, but it sounds like GM is moving as quickly as possible to rectify their unpopular design strategy with the SS. It’s worth noting the V-6 model still has a relatively “normal” appearance up front; all part of the brand’s strategy to greater differentiate each individual trim level. Not a fan of the SS styling at all so glad they are addressing. Can't argue that. I feel like the only recent Chevrolet design that's a home run is the Blazer. The 6th gen styling has been a disaster. GM Design has totally dropped the ball on the Camaro. Not only is it's direct competitor, Mustang, slaughtering it in sales, even the 10 year old Challenger is outselling it. I'm not all that surprised to hear they are reworking it. It's ugly, to be blunt.